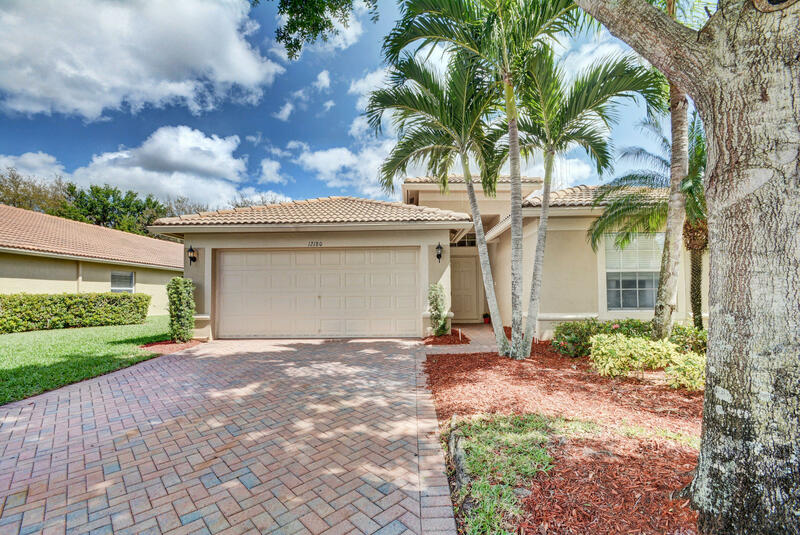 Welcome to Tuscany Bay an Active Adult (55+) community located in Boynton Beach on Military Trail.Tuscany Bay is a 24 hour guard gated communty of 395 single family and attached villa, built by Centex Homes in 2002 - 2006. Price range is in the mid $200,000s. Close to 1-95 and trendy downtown Delray Beach where you will find fine dinning and nite-life with boutique stores that have unusual art and clothing. You are 4 miles to the sunny beaches from Tuscany Bay. Although this is a smaller community it is very active and friendly. The 22,000 sqare foot clubhouse has a grand ballroom where they have live shows with top entertainers, parties for all holidays and is a very warm and friendly community. There is a beautiful heated pool with lush landscaping, a whirlpool, a state of the art fitness center that has aerobic classes, yoga and Tai Chi. Some of the ammenities in Tuscany are tennis, bocce ball, shuffle board, arts and crafts and card rooms to play canasta, bridge, maj-jongg and poker. There are clubs of all kinds such as the computer club, men's and women's club, snowbird club, and a myriad of activities. This is country club living without the country club fees.